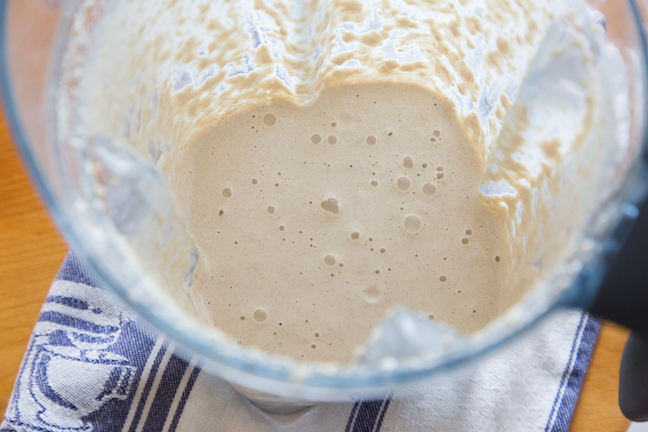 There’s no kneading required for this homemade pizza “dough”! 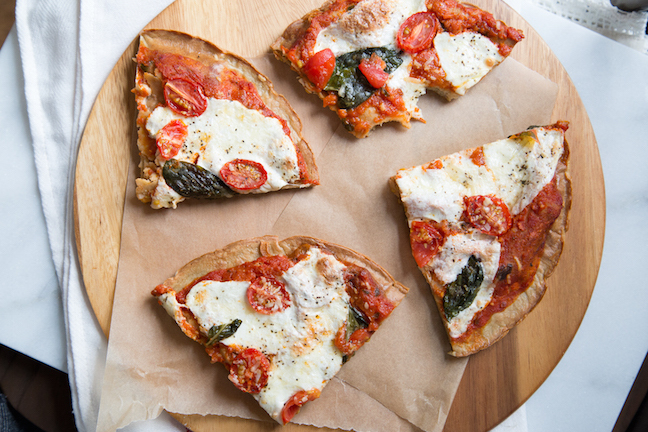 Even better, this quinoa pizza crust recipe is gluten-free. 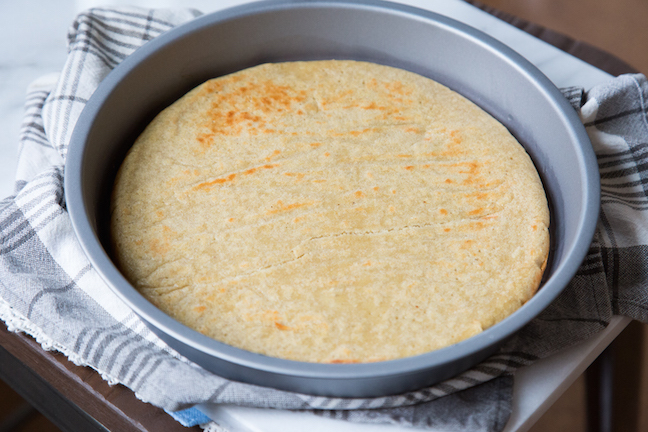 All it takes is a little preparation: soak uncooked quinoa overnight, and blend it the next day to form a creamy batter that’s then baked into a crispy gluten-free quinoa pizza crust. 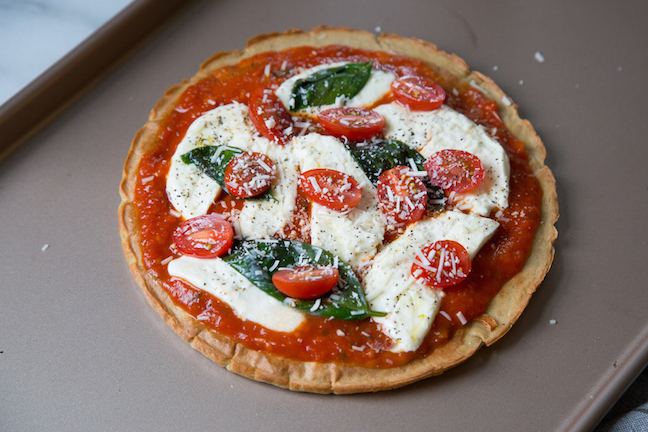 There's no kneading required for this gluten-free, healthy homemade pizza "dough"! Step 1: Measure out ¾ cup of quinoa and transfer to a medium-sized bowl. Pour enough water to cover the quinoa and allow to soak for at least 8 hours. After the 8 hours are up, drain and rinse the quinoa. 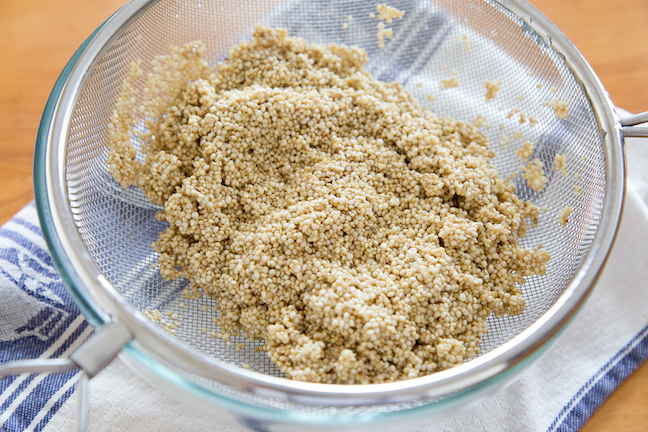 Step 2: Preheat oven to 425 degrees F. Place the drained quinoa, ¼ cup of fresh water, baking powder, and salt in a blender or food processor and blend until a smooth batter forms. 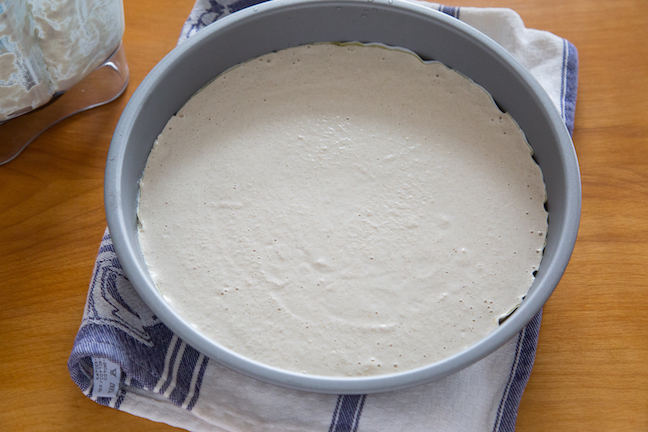 Step 3: Line a 9-inch cake pan with parchment paper and pour the batter into the cake pan. 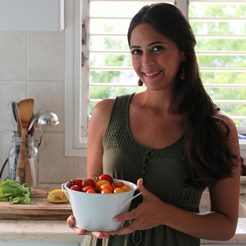 Bake in your preheated oven for 15 minutes. Step 4: Gently flip over the crust using a spatula and bake for an additional 10 minutes, or until the edges are crispy. Step 5: Remove your prepared quinoa crust from the cake pan and transfer to a baking sheet. 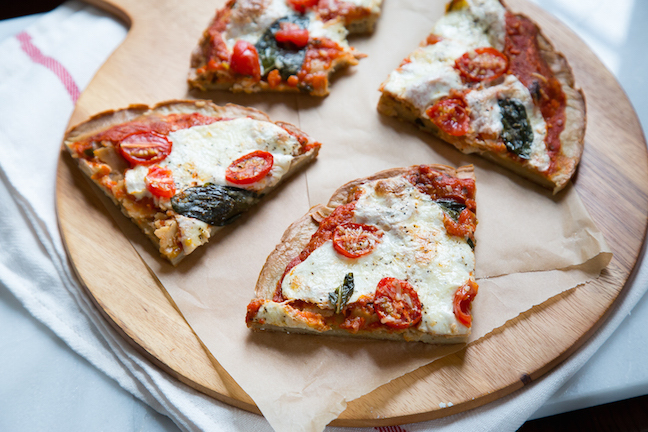 Top the crust with your favorite toppings and transfer back into the oven. Bake for another 10 minutes or until the cheese is melted. Step 6: Allow the pizza to cool slightly before cutting and serving. Enjoy!